Microsoft SQL Server 2014 Express is a free, feature-rich edition of SQL Server that is ideal for learning, developing, powering desktop, web & small server applications, and for redistribution by ISVs. The SQL Server 2014 Express release includes the full version of SQL Server 2014 Management Studio instead of SQL Server 2014 Management Studio Express. LocalDB is a lightweight version of Express that has all its programmability features, yet runs in user mode and has a fast, zero-configuration installation and short list of pre-requisites. Use this if you need a simple way to create and work with databases from code. It can be bundled with Application and Database Development tools like Visual Studio or embedded with an application that needs local databases. Limitations: Microsoft SQL Server Express supports 1 physical processor, 1 GB memory, and 10 GB storage. Download Microsoft SQL Server 2014 Express, run it, and follow the instructions in the setup wizard to install. 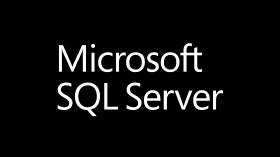 Note: Microsoft SQL Server 2014 Express includes both 32-bit and 64-bit versions. SQLEXPR32_x86 is a smaller package that can be used to install SQL Server 2014 Express onto only 32-bit operating systems. SQLEXPR_x86 is the same product but supports installation onto both 32-bit and 64-bit (WoW) operating systems. SQLEXPR_x64 is a native 64-bit SQL Server 2014 Express and supports installation onto only 64-bit operating systems. There is no other difference between these packages. Access technical product resources—such as evaluation guides, training courses, and forums—on the SQL Server 2014 Express Resource Page.